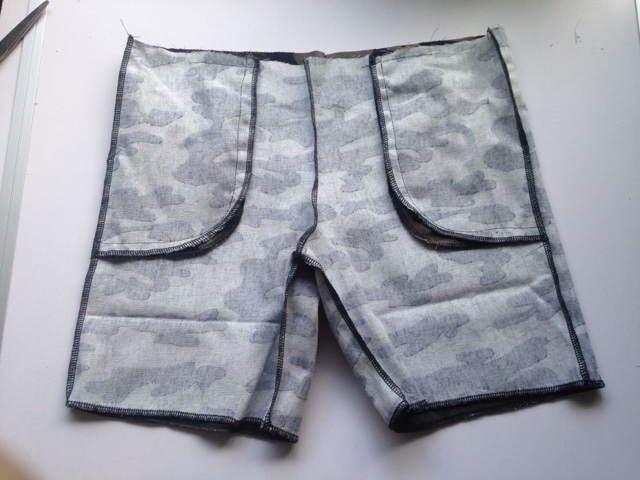 I wanted to make up the free 'Sunny Day Shorts' Pattern by Oliver & S but felt it needed some pockets so I decided to modify the pattern & make a tutorial for you all to see how it's done! 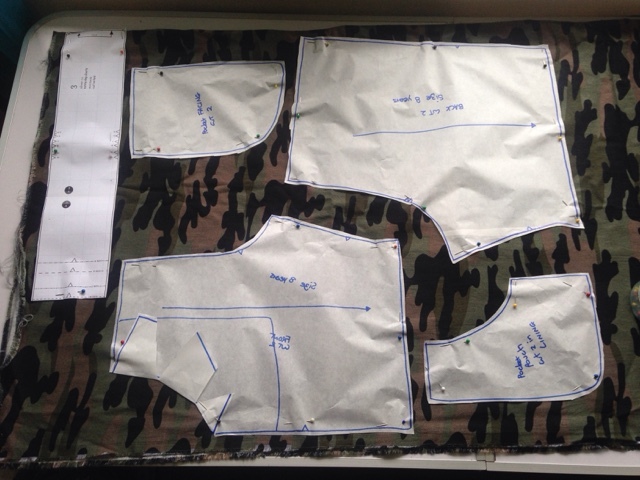 Select your size from the printed Sunny Shorts PDF & trace off all pieces in the size you want. Turn out and iron flat. Top stitch curved edge about 1/2cm away from the edge. 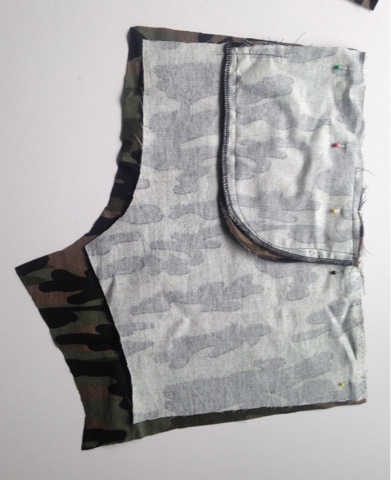 Place the front on the pocket facing piece matching the pocket pouch and pocket facing right sides together. 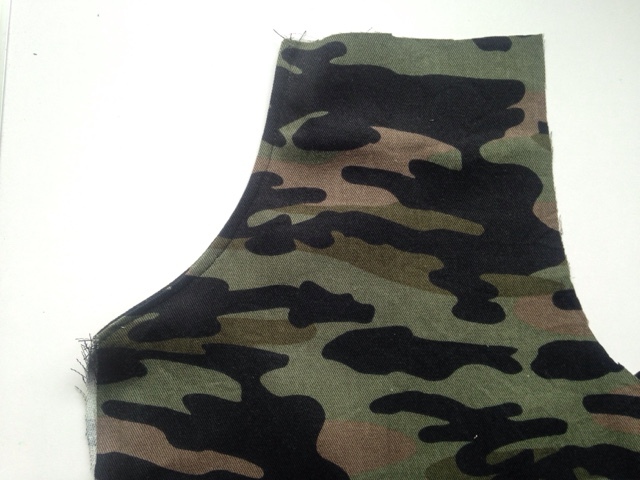 (see photo) pin pocket facing and pocket pouch along outer edge and stitch. 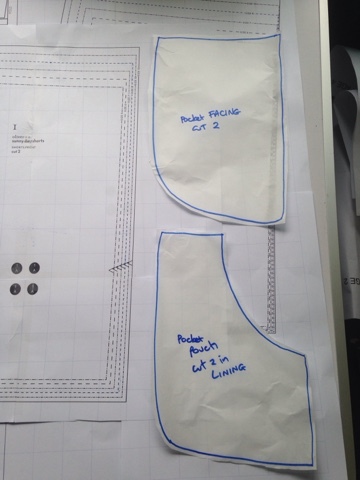 Lay front and pocket flat, pin top of pockets and front at upper edge and side of pockets at side seam. Baste in place. Pin & stitch front and back together at side seams as mentioned in the Oliver+S instructions, catching in the pocket sides (you should have this happen easily if you basted as I said in the step above). 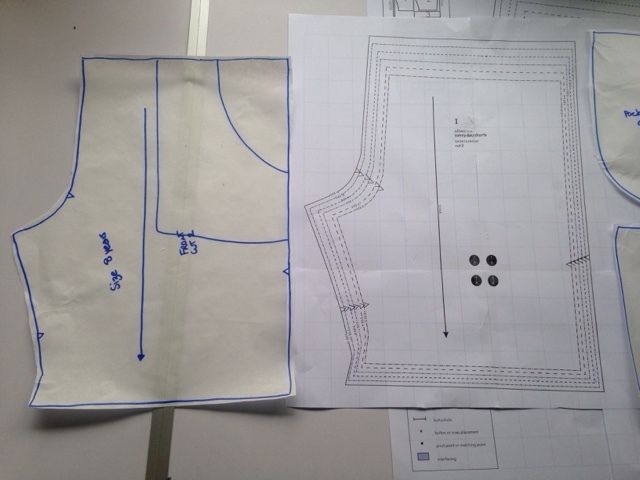 Continue following the instructions in the Oliver+S pattern instructions. 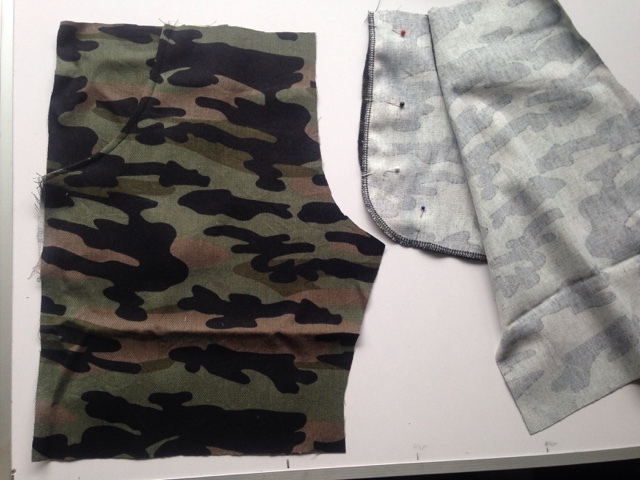 You should then end up with a completed shorts and be ready to do the waistband! 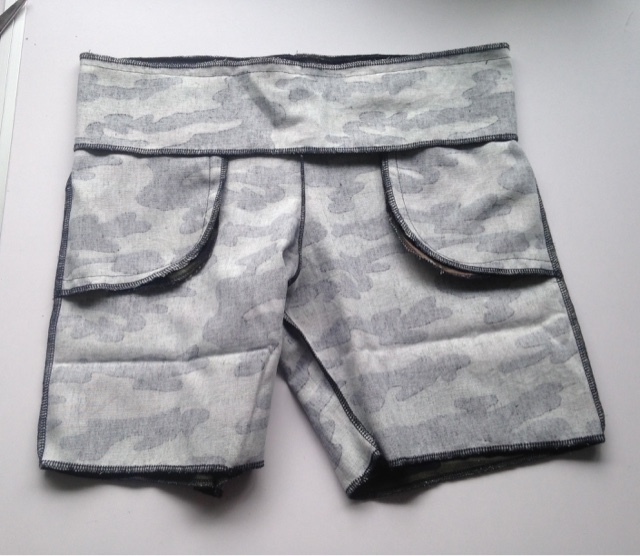 Follow the instructions for the waistband and you should have a completed pair of shorts with pockets like mine below! 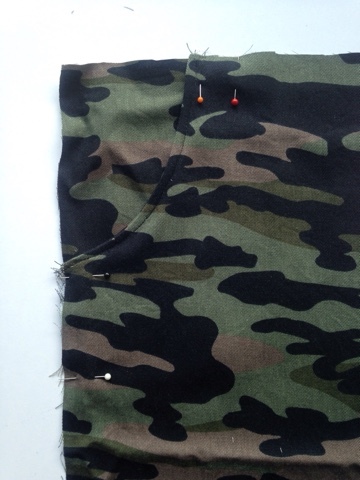 Hope this helps you to modify the Oliver+S Sunny Day Shorts Pattern. 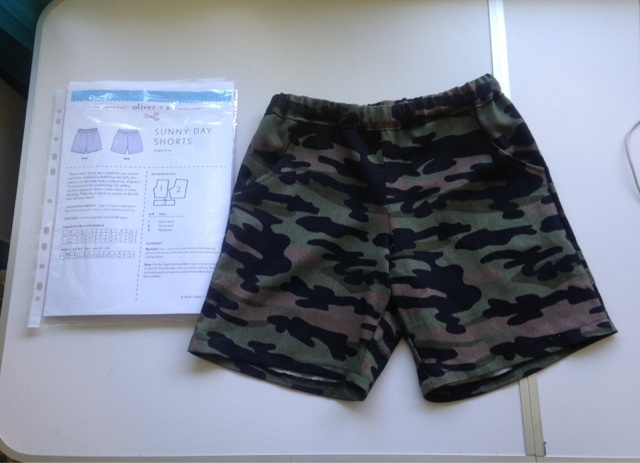 These are a great easy pair of shorts that fit really well and you can easily whip up lots of them. 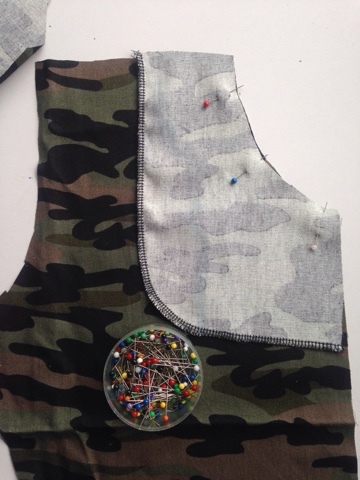 If you aren't keen on doing the whole inset pockets like my instructions you could instead make patch pockets using a similar method or extending the shorts leg length and adding side pockets. If you want me to make up a tutorial for those two options just ask!